Antony Augoustakis is Professor of Classics at the University of Illinois, Urbana-Champaign, USA. His main research interests include Latin imperial epic, Roman comedy and historiography, women in antiquity, classical reception, and gender theory. He is the author of Motherhood and the Other: Fashioning Female Power in Flavian Epic (2010) and Statius, Thebaid 8 (2016). He is the editor of the Brill Companion to Silius Italicus (2010), Ritual and Religion in Flavian Epic (2013), Flavian Poetry and its Greek Past (Brill 2014), Oxford Readings in Flavian Epic (2016), and co-editor of the Blackwell Companion to Terence (2013). 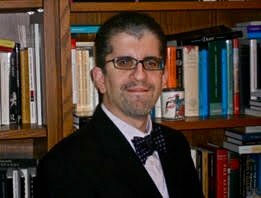 Antony Augoustakis is also the editor of the journal Illinois Classical Studies. He is currently working on several major research projects: a monograph on death and ritual in Flavian Epic, a commentary on Book 3 of Silius Italicus' Punica (together with Joy Littlewood), a commentary on Pseudo-Seneca's Hercules Oetaeus and four companions: STARZ Spartacus: Reimagining an Icon on Screen (with Monica Cyrino), Fides in Latin Literature (with Claire Stocks and Emma Buckley), New Heroes on Screen (with Stacie Raucci) and Flavian Campania (with Joy Littlewood).